Organ transplantation allows modern surgeons to give 'new life' to chronically ill patients. At the same time, the new opportunities raise ethical questions concerning human identity and the definition of the human body. 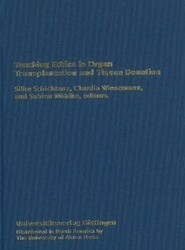 This title illustrates the range of global and local, ethical, social, and cultural problems associated with transplantation.